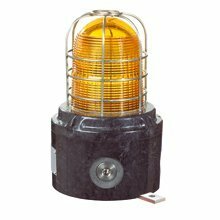 These certified LED Beacons have been designed for use in potentially explosive atmospheres and harsh environmental conditions. The enclosures are suitable for use offshore or onshore where light weight combined with corrosion resistance is required. Options Body & lens colour, flash rate, Voltages 12 - 48 d.c., 110 - 254V a.c.